SMBC: Where does the time go when you play online games? Classic Spamusement: They hold a whole lot of it. I had no idea…. Bizarro on Facebook slacktivism (at Failblog). 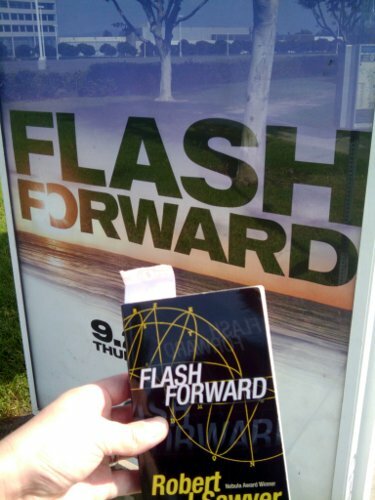 Author Robert J. Sawyer answers pointed questions about Flashforward and the TV adaptation, including what went wrong. I have to agree that it was really hurt by focusing too heavily on the conspiracy arc. Ultra hi-res moon. The full-sized image is 24,000 x 24,000 pixels and half a gigabyte! Flash Coffee is a product tie-in just waiting to happen! (That F’ing Monkey). It would fit right in with the Central City Track Team shirt. 6 ways to use public Wi-Fi hot spots safely (C|NET). This entry was posted in Comics, Computer Security, Computers/Internet, Space, Web Design and tagged Android, Batman, coffee, Flash, Flash Forward, iPhone, linkblogging, mobile, moon, Star Trek, usability on March 12, 2011 by Kelson. This entry was posted in General and tagged ecommerce, Flash Forward, LHC, linkblogging, physics, science, Tweets on November 23, 2009 by Kelson. This entry was posted in Comics, Sci-Fi/Fantasy and tagged Clocky, Flash Forward, New Spring, Star Wars, Tweets, Wheel Of Time on October 22, 2009 by Kelson.